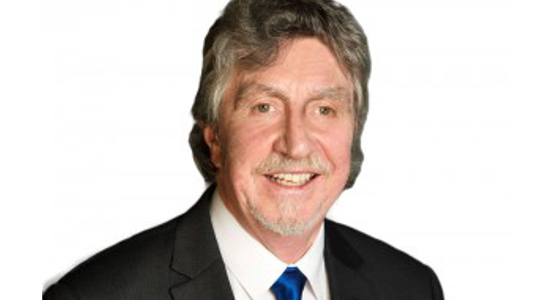 Mickey Brady, Sinn Féin MP for Newry and Armagh. Speaking as someone who grew up in the North of Ireland, I know personally what militarisation looks like. As a Sinn Féin MP, as an Irish Republican, I know the damage that external intervention causes and the conflict that it stirs. The progressive political and social movements which have developed across Latin America have led the way in delivering better standards of education and healthcare across the region. They have launched meaningful initiatives to tackle poverty, inequality and racism throughout Latin America. Unfortunately the past few years have seen a sustained attack on these steps forward. It is important to remain vigilant of creeping intervention and obstruction. The only the people who determine the future direction of Latin America are: the peoples of Latin America. And no-one else. Sinn Féin is totally opposed any outside intervention. All too often we’ve seen shadowy outside elements spring military coups or interfere to destabilise the democratically elected progressive governments in Latin America. Those of us old enough will remember the coup again Chile’s Salvador Allende. But – have no doubt – such intervention is still happening. The methods might be harder to spot. But it is the same as it ever was. The CIA will deny any involvement in destabilisation – and it will only be when archives are published years later that we clearly see their hand guiding the situation. President Trump’s remark that there might be a “military option” in Venezuela is very worrying. As is his talk about expanding Guantánamo Bay and filling it up “with some more bad dudes”. We are clear the US military base at Guantánamo Bay is on occupied land. It remains the only foreign military base maintained against the wishes of the host government. The continuing occupation of Guantánamo by the United States is a violation of international law – and an affront to Cuba’s sovereignty and impassable obstacle to reconciliation. Only when the US can forgo its territorial claim on Guantánamo can Havana be assured that Washington finally recognises Cuba’s right to self-determination. Of course, in hand with that is the continued unjust economic blockade of Cuba by the US administration. Given Ireland’s history, we feel that Dublin needs to do more to stand firmly as a voice for the colonialized and the oppressed of the world. Unfortunately, Ireland can often still be stuck in a colonial mind-set. There’s still a subservient hangover. A lack of confidence to stand up to world powers and say ‘No, actually you’re wrong on this’. We believe the Irish government needs to do better to improve its bilateral and political relationship with Latin America. Just the other week my party colleague in Dublin, Sean Crowe, challenged the Irish Minister for Foreign Affairs Simon Coveney to condemn the president-elect of Brazil, Jair Bolsonaro. A simple enough request given the reported fascistic comments attributed to him. Any observer could see that Bolsonaro’s campaign was based on fear, division, racism, sexism and homophobia. Anyone should be able to condemn that. Was our minister willing to condemn a fascist? Unfortunately not. For our own part, Sinn Féin has no hesitation in saying that Bolsonaro poses a major threat to human rights protections, indigenous communities and the environment. His election is a clear threat to democracy in Brazil. He should be condemned by all rational people. As a party, we’ve always maintained that dialogue is the best means to resolving disputes – whether between individuals, peoples, parties, or states. This foundation has served us well in our own struggle. Rather than fomenting strife, the international community should be encouraging inclusive dialogue to sooth the situation across Latin America. I was in Colombia back in April to monitor the peace process there. It’s depressing to read about the ongoing killing of political and community activists there. Just the other week I was in Tipperary to see the former president of Colombia, Juan Manuel Santos, receive a peace award for his efforts. But, unfortunately, the efforts and brave steps undertaken by FARC have not been similarly recognised. The peace agreement in Colombia is under constant attack by the right-wing in Colombia and their armed paramilitaries, yet there is a deafening silence about that. The Colombian government appears to be turning a blind eye to these murderous activities. Over 400 people – most of them political, community and human rights activists, including 80 members of the FARC – have been killed by right-wing paramilitaries in recent times. It appears those responsible act with impunity, with reports stating that no one has been arrested, charged or convicted for any of these horrendous killings. In our experience of the Irish peace process, confidence-building measures are essential to maintaining momentum to sustain and build the peace. Part of this is the release of political prisoners, not the continued detention or arrest of those central to the agreement. The lack of progress, and the continued poor treatment of political prisoners, can cause serious problems to the process itself. As we say in our struggle: Tiocfaidh ár lá – which is Irish for: Our day will come. On behalf of Sinn Féin, may I say, we hope that the day of the Venezuelan, the Nicaraguan, the Brazilian, the Cuban, and any other peoples whose struggle is also represented here today will also come. This presentation entitled ‘Latin America in the era of Trump – militarised US backyard, or zone of peace?’ was delivered by Sinn Féin MP Mickey Brady at the Latin American 2018 Adelante! conference in Congress House, London, on 1 December 2018.